»» Download Anvil Studio for free! Anvil Studio ::: a computer program that allows users to compose music. Using Anvil Studio you can record, edit and compose music. »» Download Bolide Movie Creator for free! Bolide Movie Creator ::: a computer program that allows users to edit video. Using Bolide Movie Creator you can apply different effects, create montages, join or combine video files. »» Download ImLab for free! »» Download Action for free! Action ::: a computer program that allows users to capture video. Using Action you can record everything that is playing the video card. »» Download Synchredible for free! Synchredible ::: a computer program that allows users to synchronize files and folders. Using Synchredible you can compare and synchronize files stored on different devices. »» Download Macgo Free Media Player for free! Macgo Free Media Player ::: a computer program that allows users to play multimedia content. Using Macgo Free Media Player you can watch movies and listen to music. 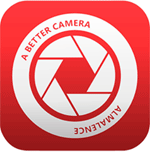 »» Download PhotoAnim for free! »» Download SaferPass for free! SaferPass ::: a computer program that allows users to manage passwords. Using SaferPass you can manage all your passwords from one place. 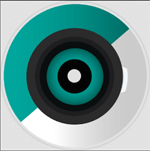 »» Download Wise Video Converter for free! Wise Video Converter ::: a computer program that allows users to convert between different video files. Using Wise Video Converter, it can be converted among the most popular video formats. »» Download Easy Video Maker for free! Easy Video Maker ::: a computer program that allows users to work with video files. Using Easy Video Maker you can create, edit, process and share video files.